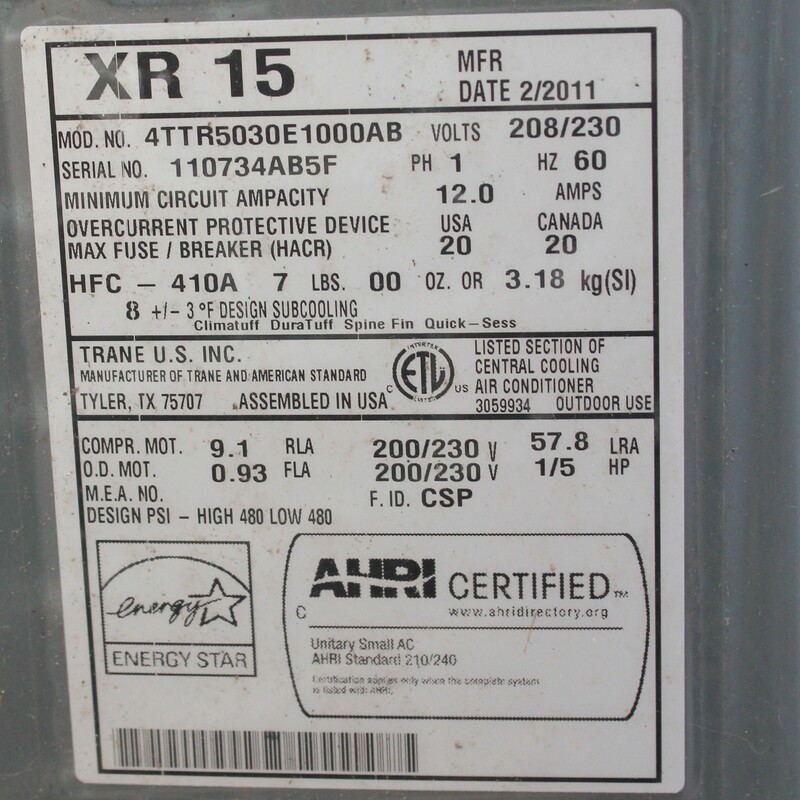 Home/House Tales/Why Do HVAC Equipment Makers NOT Date ALL Their Products? Anyone looking at a resale house wants to know how old the heating equipment is. And it seems to be a state secret. I looked at a water heater today, and after going all over the data plate, all I know is that it apparently meets ANSI standards from 1994. It is in a home built in 2002. That “1994” is not much help, as I assume they didn’t put an eight year old water heater in a new home. Of course, the manufacture date is embedded in the serial number. And you can Google the serial number and manufacturer and generally deduce a production date. But why so coy, fellows? There’s your Date of Manufacture, at the top right of the data plate. That unit was turned out in February, 2011. Now, when was it installed? I dunno. Maybe in March, 2011? Or, June or July? But at least we know we can be assured it isn’t a 20 year old AC unit. And, it may have replaced one. See, that home was built in 1969. Previous PostPrevious WordCamp Raleigh 2013! Next PostNext The current market in the Raleigh-Cary area is moving FAST! That’s certainly useful information to know. Certainly if someone moves into a home, they need to know the date the HVAC was installed. A friend of mine just recently bought a house and had the seller replace the unit as it was almost 25 years old. 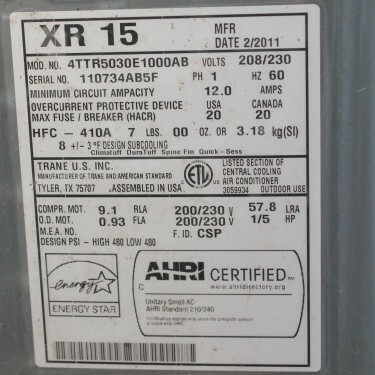 It’d still be nice if other suppliers had the date listed like Trane does.